Here at Practical Dental Assisting of Utah we offer classes in not only dental assisting, but dental office administration. Taking both courses is, of course, optional, but highly recommended and here is why; it will make you more marketable and a better employee. The most obvious benefit to understanding both the office and the clinical side of a dental office is the ability to help out in a crunch (and there WILL be a crunch). There will come a time when a dental office is short staffed, over-booked, or running behind and maybe even all three at once. It is these “crunch” times where having an employee who can hop in back and assist on a procedure or hop up front and help a patient or answer a telephone is truly valuable. Emergencies will happen, every dental office should have a back up plan (or back up employee). A benefit that may not be as obvious, is the cross-training will help you become a better employee, and I don’t mean because you can help in a pinch. As a front office administrator, it is quite beneficial to understand the assisting that goes on in the back. When you are requesting payment from patients, it’s important to understand the value of the services provided. How can you ethically ask a patient to pay for something you yourself do not understand? Also, you will be asked questions daily regarding patients treatment, and understanding the clinical side of a dental office helps you give educated answers. 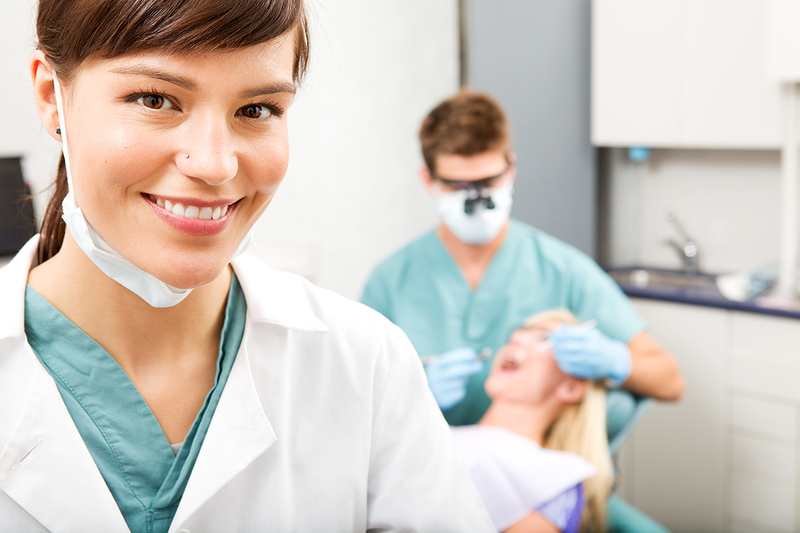 As an assistant understanding the finances of each procedure, as well how dental insurance works, is a great advantage. You can better sympathize when a patient’s treatment becomes a financial challenge. You can help a patient time a procedure to best take advantage of their insurance coverage. You will understand what clinical evidence insurance is looking for in order to approve payment. And as we mentioned above, there will come a time when the dental office is short staffed, and overwhelmed. In these situations it becomes a simple but invaluable skill to be able to answer the phone professionally, schedule appointments, and answer basic questions. Finally, having duel knowledge and experience broadens your career horizons. You can work in either position, giving you more job options and you can negotiate pay based on the additional skills that other applicants and/or employees lack. This is why we are proud and excited to offer both courses, and encourage all students to consider both options.